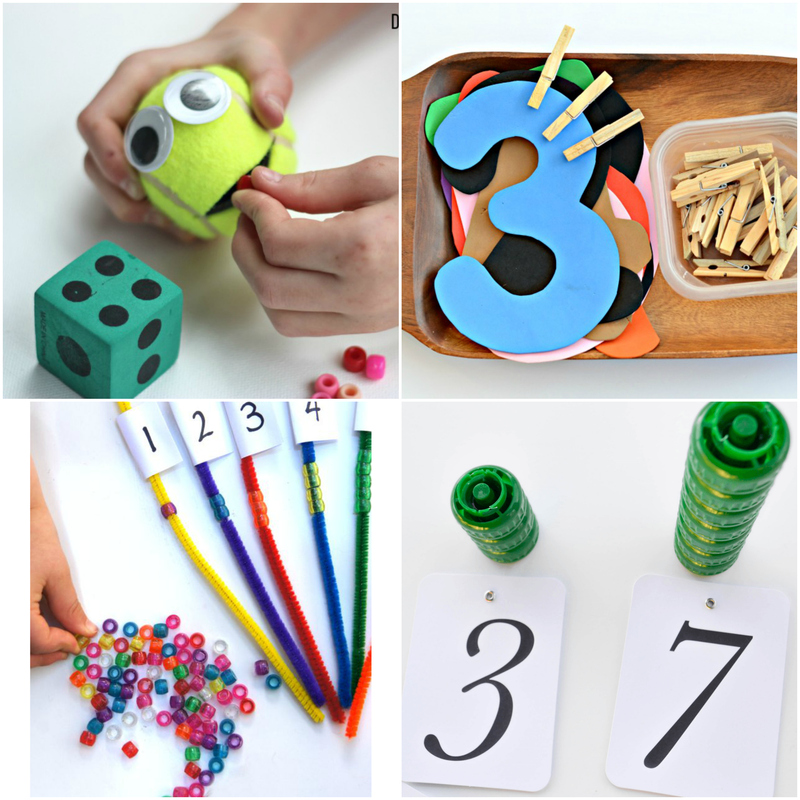 Numbers and counting is such a fun topic to teach! There are tons of great manipulatives to use and it’s a great way to give good base knowledge to kids that will use it all their lives. 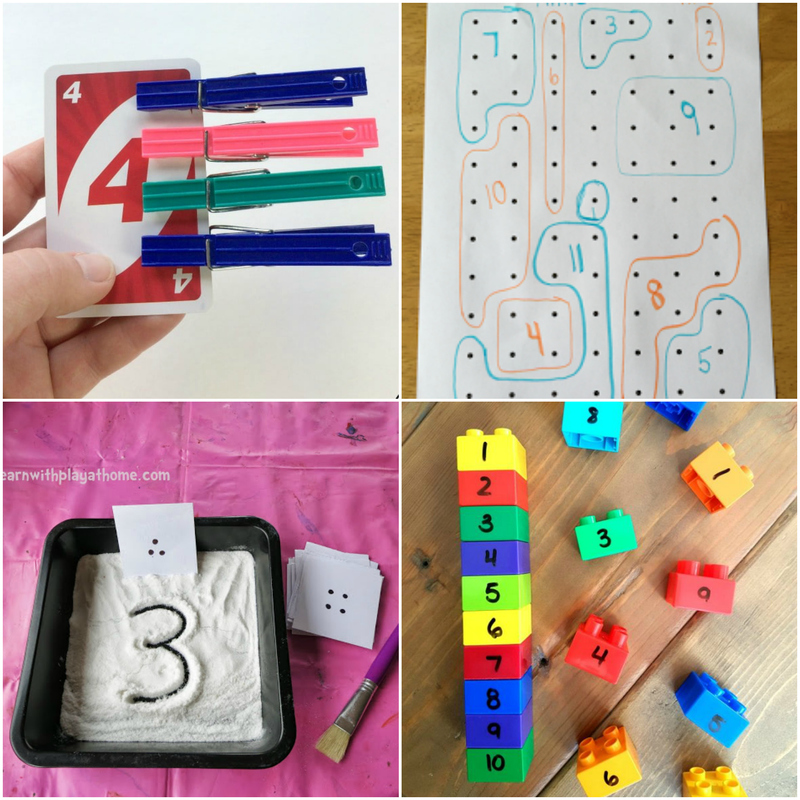 Here are some of the best number sense activities for little learners! I hope you enjoy! Need more number sense learning ideas? Uno is one of my favorite games. Kids love it too! Use that massive Uno set for your number recognition activity with a little fine motor practice added in. 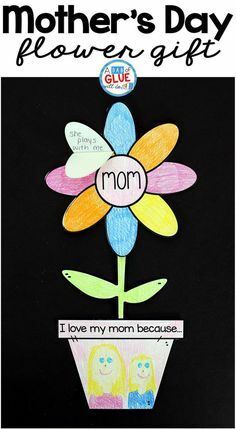 I really love how easy it is to put this simple activity together. Use dot paper and markers to help kids count and practice number sense. Lego Duplos are a great manipulative to help little learners with their number sense. Repurpose a set of 9 to leave in your math centers for students to practice number order. Salt trays are a great sensory material for hands on kids. Create your own number writing station with a couple materials you already have in your classroom closet. 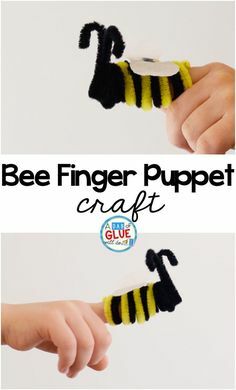 This is such an inviting activity! 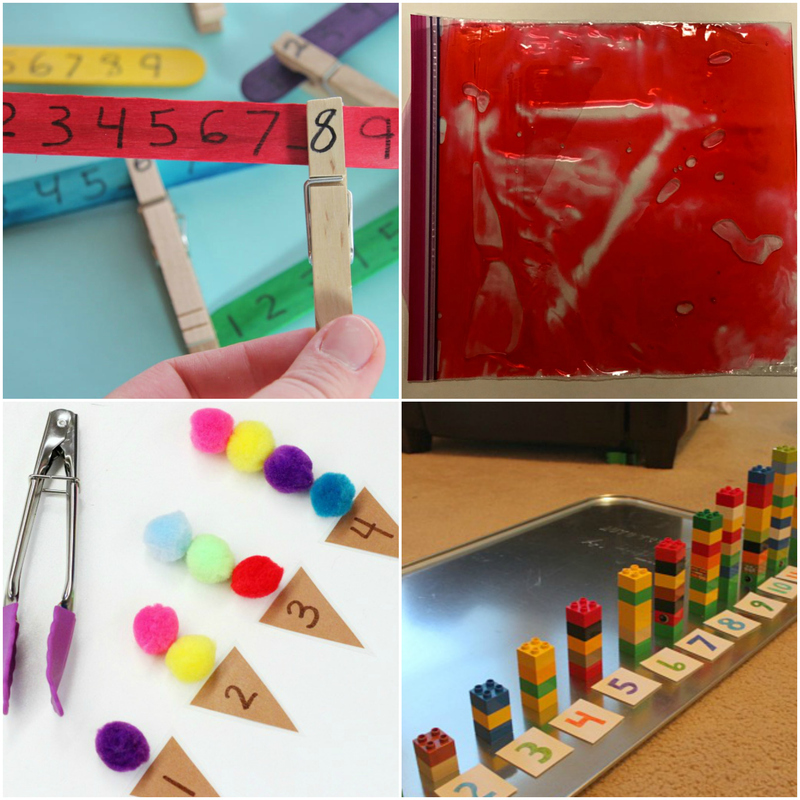 Use colored popsicle sticks to create a missing number fine motor activity. These squishy mats look like a lot of fun for sensory students. I suggest double taping the seam (personal experience here). Then let students practice writing their numbers in a fun sensory material! Make your own ordering activity with Lego Duplo and an oil pan! These two materials are a lot of fun to get students out the seat and onto the floor for a great group review. Everything is better in an ice cream theme! Give this ice cream numbering activity a try anytime of year. I using smaller tongs for students that are ready for a more challenging fine motor work. We love using pool noodles for learning! Check out this great idea to repurpose your pool noodles for greater than and less than practice. This number matching activity is so easy to create for your classroom! All you need is a marker, paper, and small paper cup. Couldn’t get much easier! Roll and cross is perfect for kids that need big movements in the classroom. The oversize, DIY dice is so inviting and a great way to get kids moving while they practice letter recognition. This is an easy way to help little learners to practice counting from 1 to 5. 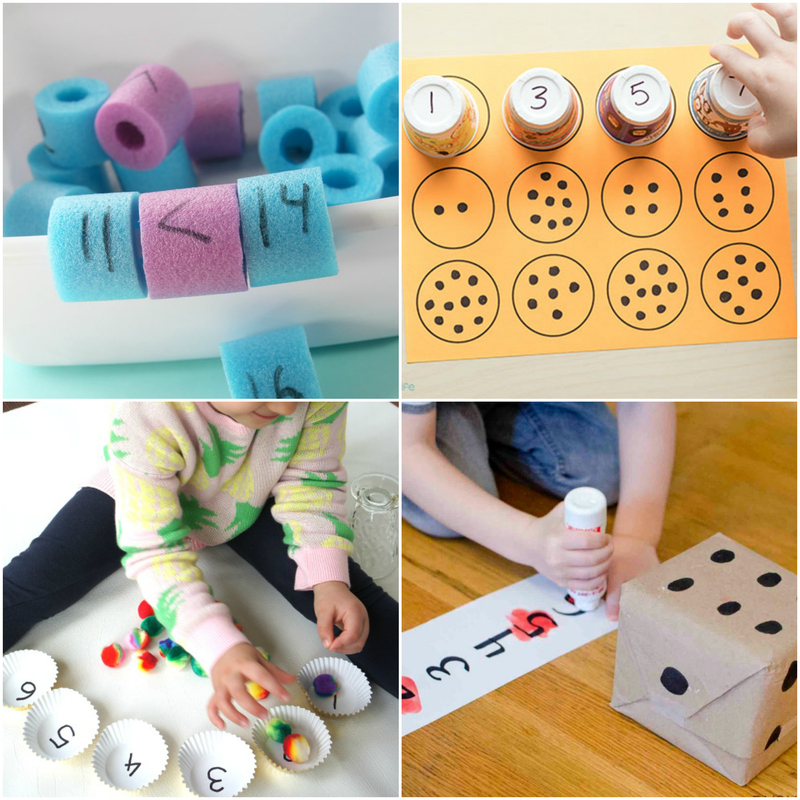 Simple counting activity can be made with muffin liners and pom poms! 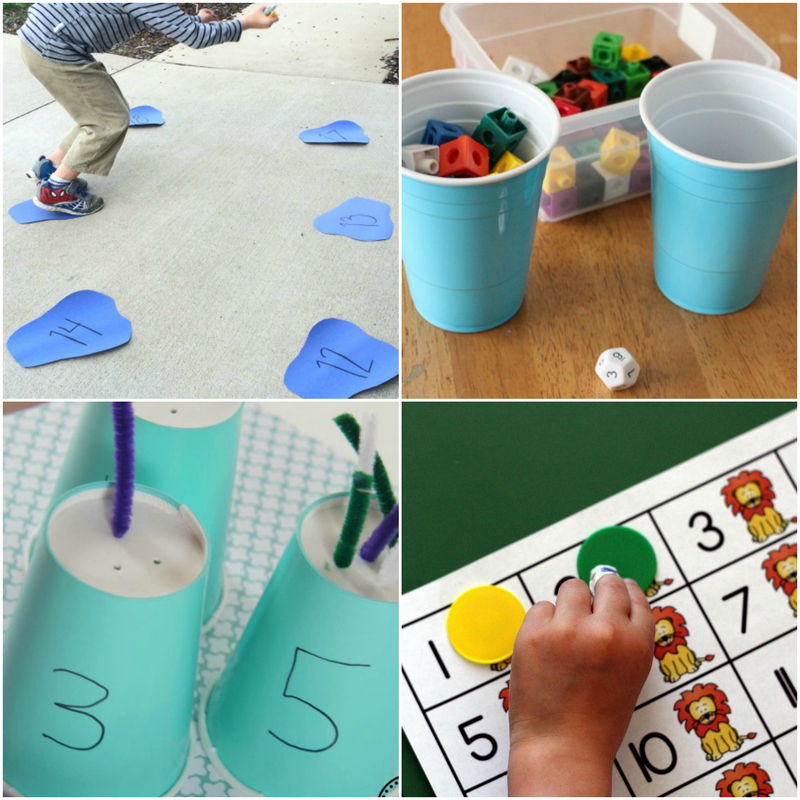 Puddle Jump Math Activity is sure to be a classroom favorite! This would be a great indoor gym activity on a rainy. If you have competitive kids, it would be great to setup this math race. Race to Fill the Cup is a great way to help kids with their number recognition confidence. 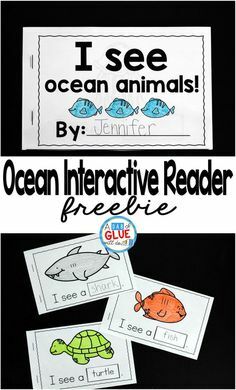 Print and learn with a fun zoo themed! 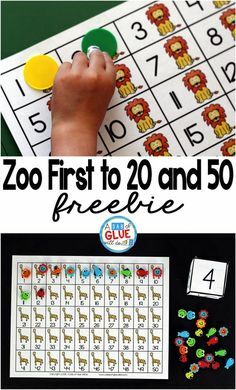 This first to 20 and first to 50 activity is perfect for kids learning to count by 2, 5, and 10. 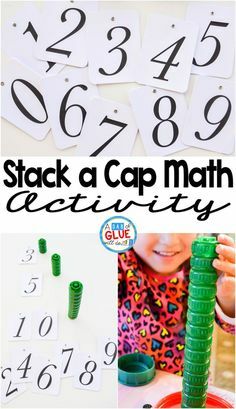 Use some of your paper cups to make an easy number counting activity with pipe cleaners. 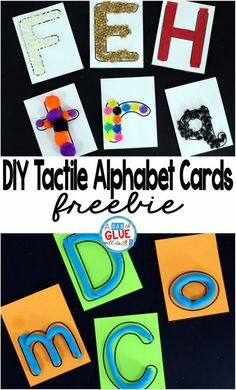 This is great DIY project for your math center! This is adorable! Use an old tennis ball to strengthen little learners’ hands while they count. Kids will love this tennis monster and it will soon turn to a classroom favorite. I’m in love with these oversized numbers! Add these to a set of clothespin to help little learners with number sense in the classroom. 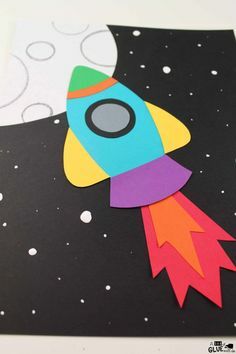 The colors in this activity make my heart happy! Grab pony beads and pipe cleaners for a simple fine motor counting activity for your classroom. I love activities that recycle materials. It seems like we tons of bottle caps around our house and I love the idea reusing them for practicing number recognition. 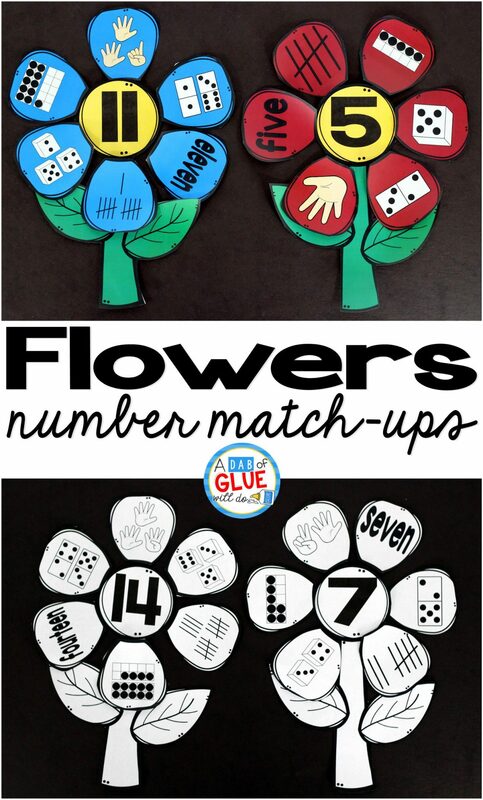 You might also like our Flower Number Match-Up! Do you have any favorite number sense learning activities that are not on the list?